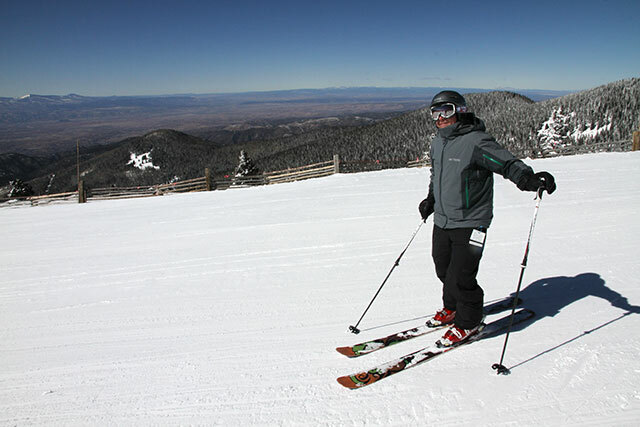 John from Seattle and I had a marvelous sunny day with fresh snow in Santa Fe, carving buttery slopes and cruising among the trees. Tough at this altitude, though: pictures taken at almost 4000 m above sea level! 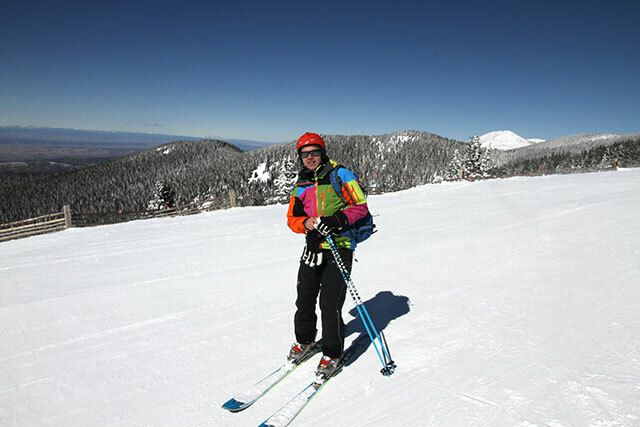 The parking area at the base station is the third highest in the USA!